Deal Categories: Testosterone Boosters Supplements. Ruesco is offering a BOGO free sale on one of the strongest estrogen blockers on the market the HTP ARIMISTANE. Add 2 bottoles to your cart ($40). Deal Categories: Testosterone Boosters Supplements and Post Workout Products.Stores: A1Supplements.com. 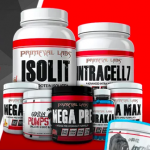 A1Supplements is running a blowout buy 1 get 1 free across the entire Primeval Labs line and this time with the best prices we’ve seen on A1 for this popular brand. You can mix & match from all of the brand’s products and stock up on everything! 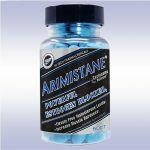 Deal Categories: Testosterone Boosters Supplements.Stores: A1Supplements.com. 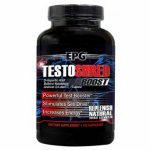 Buy 1 EPG TestoShred & Get ONE FREE for $39.95 at A1Supplements. This is the best total price we could find by at least $20. Hi-Tech Pharma OFF THE CHAIN $9.99EA! Ruesco is offering a BOGO free sale on the popular OFF THE CHAIN Amino / Energy product by Hi-Tech Pharma. Use coupon ‘CHAIN‘ and your total will drop to $19.99 for the 2 tubs.